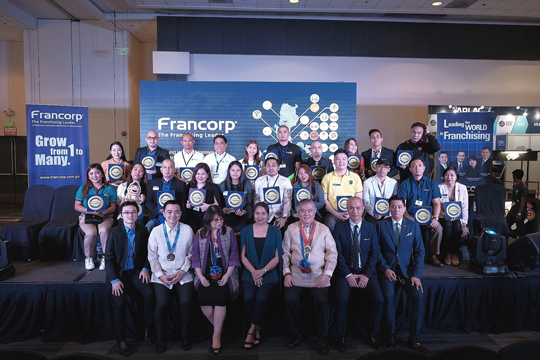 The Philippine franchising industry has been continuously growing and testament to its robust development are the 23 new franchise brands under the stewardship of Francorp. Philippines which made their debut during the Franchise Asia 2019, the biggest franchise show at the SMX Convention Center in Pasay City. Participating in the event are (seated from left) Francorp Philippines board member Sam Gregory Lim, chief marketing officer Sam Christopher Lim, chief executive Ma. Alegria Sibal, Department of Agriculture deputy executive director Annray Rivera, Francorp Philippines chairman Samie Lim, managing director Manuel Siggaoat Jr. and assistant vice president of operations Joselito Samson.